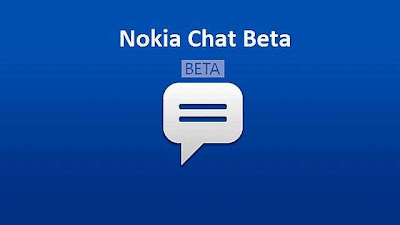 Nokia Beta Labs today announced the availability of Nokia Chat Beta App powered by Yahoo! for all Nokia Lumia phones viz Nokia Lumia 505,Nokia Lumia 510,Nokia Lumia 520,Nokia Lumia 610,Nokia Lumia 620,Nokia Lumia 710,Nokia Lumia 720,Nokia Lumia 800,Nokia Lumia 810,Nokia Lumia 820,Nokia Lumia 822,Nokia Lumia 900,Nokia Lumia 920,Nokia Lumia 925,Nokia Lumia 928. The services though announced today were already made available a few weeks back for testing purposes. Even now the Nokia Beta Labs page says that the App is a beta one and may be updated for commercial use. The blog however says that the App is now available for world wide users now. You can use the app to connect with family and friends using the app on Lumia, Asha, S40 and even Symbian Nokia devices like XM 5800. Nokia Chat beta lets users make person to person messaging like any other cross platform messaging App. In addition you can also use it with your Yahoo Messenger friends and colleagues too. Like most other cross-platform messaging apps, Nokia Chat beta will allow you to indulge in person-to-person messaging. The great part about this feature is that besides allowing you to chat with users on its own platform, Nokia chat beta will let you interact with friends on Yahoo Messenger too. Once you have installed the App you can get push notifications about new messages, previews and a notification count even if you have shut the App off. In addition the App lets you share information about any place of interest with your friends with the help of Nokia Here launched recently. Which goes to say that if your friend or acquaintance is using a Nokia Lumia, they can see a a touchable map preview that links to place details, directions and reviews. You can use (tap and send) to send chat addresses and details and even the entire chat to your friends Lumia. The app also allows you to compose a message by speaking into the phone and then you can edit it just like you want it. 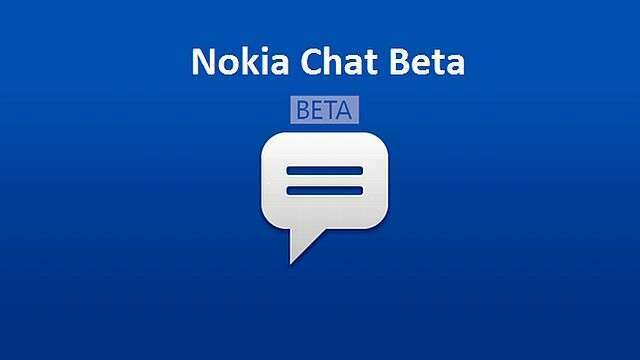 Nokia Chat beta will also provide lock screen notifications as well as voice commands for Windows 8 running Lumia phones. You can long-press the Windows key and say “Chat with”, followed by a friend’s name to begin chatting with them. Go to the Nokia Beta Labs page here sign in with your Nokia id or sign up and download this must have App for your Lumia phone.